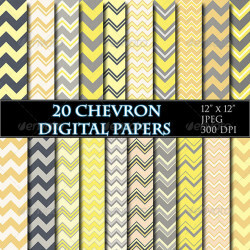 A set of 20 yellow and grey chevron digital papers. 12”x12”, 300 dpi JPEG format. You can use these papers in your scrapbooking projects, ..
MobileWeb Mobile Theme is a HTML /CSS Touch optimized Theme for Smartphones and Tablets. The touchpad navigates the portfolio slider intuitive. ..
Mega Company Brochure Bundle 210×297 mm + 210×148mm Total 140 Pages .. Used only free fonts 300 dpi, CMYK , 3mm bleeds Company Brochure ..
Brochure Bundle Series 5 InDesign CS3 / CS4 / CS5 Hello! Thank you very much for purchasing this File. This four multi-purpose Brochure-Templates ..
Bifold Brochure Bundle | Volume 1 This is an incredible bundle, 6 professional bifold brochures, each with its own style and design. All of these .. Photographer Portfolio Catalog Indesign Template Fully layered INDD 26 Pages Completely editable, print ready Text/Font or Color can be altered ..
Professional InDesign magazine template that can be used for any type of industry. This item consist of 20 pages that fully editable and customizable. .. SKETCH GENERATOR – ACTION Present your text, shape or vectors in Sketch stitch style. Features 5 realistic levels Smart Objects – double ..
Professional Magazine suitable for any type of business. Features: 20 pages 2 sizes included: Letter (8.5×11 inches) and A4 (8.27×11.69 ..
Review Magazine InDesign template A4. This template was designed with a reviews and gadget magazine look and feel in mind. But can easily ..